Want to know the secret to choosing a great shoe? Watch our video to discover the key factors to look for when selecting the right shoes. It’s recommended that we walk 10,000 steps a day for optimum health but in reality most of us probably only walk between 3,000-5,000 steps a day. Nonetheless, wearing the right footwear can help keep your feet healthy and make achieving 10,000 steps a darn sight easier! So what is the right footwear? It’s common sense that wearing incorrect shoes will do our feet more harm than good, but how do we go about choosing the right shoe? There are myriad factors to consider when choosing a great shoe. When you have an awesome pair of shoes you tend not to think about the effect your footwear has on not just your feet, but your legs and joints too. All of a sudden, you experience heel pain or suffer an ankle injury and bang!—now you realise the important of choosing and wearing the right shoe. Many podiatry visits are a direct result of incorrect or poor choices in footwear. Issues can range from heel pain, shin splints, Achiles tendonitis, Morten’s neuroma (nerve injury), ingrown toenails, bunions—even back pain and postural problems. A Step Ahead Foot + Ankle Care is one of Sydney’s leading foot and ankle clinics. Principal podiatrist and founder of A Step Ahead, Dr Brenden Brown (AKA Dr Foot), has been taking care of people’s feet for more than 20 years. 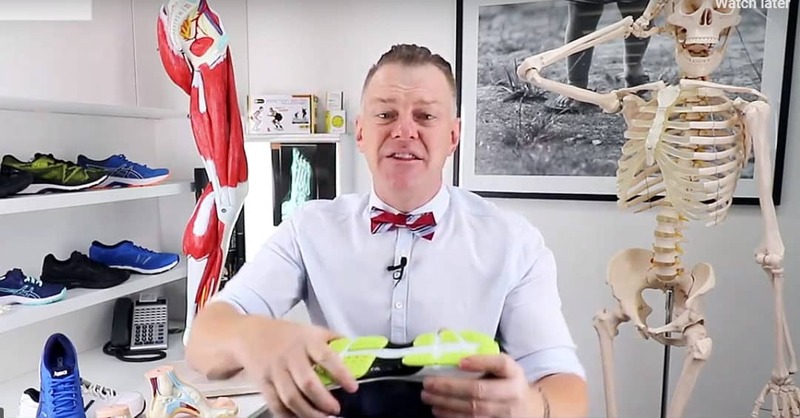 With a background in sports medicine and having served as a former president of the Australasian Podiatry Council, Brenden is a wealth of information on foot and ankle care. To find out more about taking care of your feet, check out the related articles below.